The Portsmouth to Jersey ferry runs up to 6 times per week, and is operated by Condor Ferries. 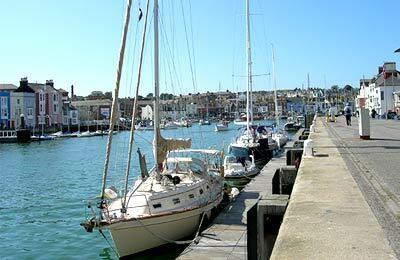 The route connects the UK to the Channel Islands, a diverse group of islands suitable for action packed vacations or long lazy holidays. Condor Ferries runs a large fleet of high speed vessels for Portsmouth Jersey crossings. On board with them you will find a host of facilities to keep you entertained, including a restaurant, duty free shop and a TV room for children. See below for Portsmouth to Jersey timetables. You'll find the frequency of sailings and approximate sailing times. For a detailed Portsmouth Jersey timetable, use the Timetable link to view a list of departure times. With AFerry we always give you our best prices for ferries from Portsmouth to Jersey. No matter which page you book from we always include all our special offers. And there is no need to look for a discount code. If we have an offer available, your ferry price will include the reduction or offer. There's no need to look at other websites. If you're not sure if the Portsmouth to Jersey route is right for you or you can't decide between ferry companies, if there is more than one, you might also find it useful to read any reviews we have available. We ask all our customers to send us reviews for Portsmouth to Jersey ferries. Remember though, that the earlier you book, the cheaper prices normally are. So don't spend too long deciding! 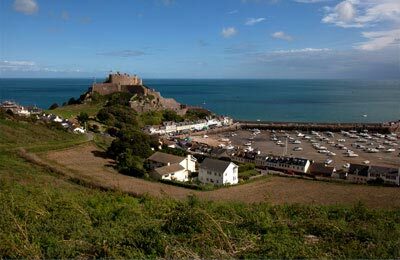 Portsmouth to Jersey is a popular route, so we advise you to book as soon as possible. Food expensive. Quite room was not very quite. I had my grandson with me aged 13 it was the first time we had travelled with Condor, we had reclining seats which were perfect, the facilities were close at hand. We left on time, arrived on time. There was no hassle of any kind, everything was so relaxing. This is definitely the way to travel. On the whole more or less OK. Check in was very slow and the catering was expensive for the level of quality. Duty Free? Can find cheaper on shore. Very happy with overnight cabin on return journey, with breakfast included was good value.